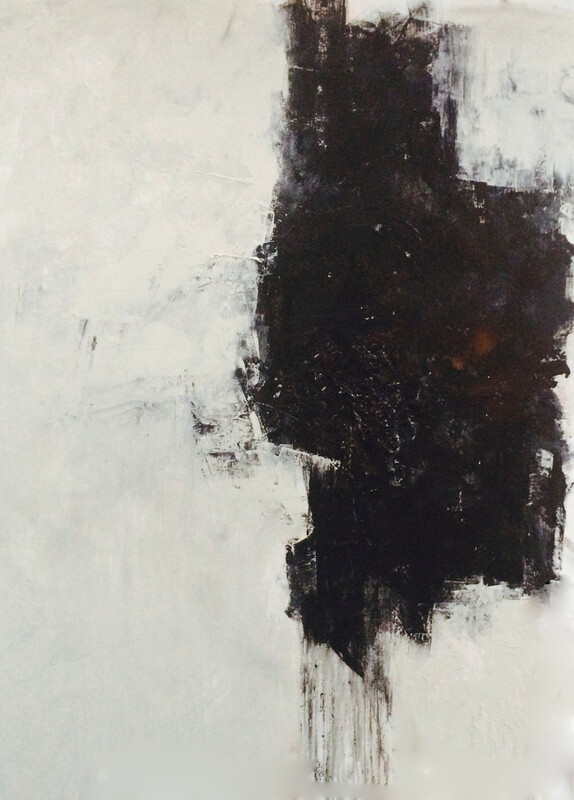 Abstract artist Stephanie Visser will be featuring new paintings as part of the upcoming exhibition, “Five Artist Show.” Curated by Flavio Alejandro Bisciotti, the show will also feature the work of Javier De Aubeyzon, Hadiya Finley, Julienne Johnson, and J.J. L’Heureux. Visser met Bisciotti, who is also an artist, when they both participated in the Venice Art Block. Visser talks about the experience, “It brought out people that were really interested in the art and wanted to chat and understand what motivated the artists and how they actually did the work. It’s a lot of work and very tiring to be there and participate for a whole day event, so when people seem invested in the process and enjoy the day, it makes it worth while.” Visser has been part of the event since it was created (2013), and will continue to participate in the Art Block as well as other local Art Walks. Last year, Visser was diagnosed with cancer. “It’s absolutely the worst word one can ever hear, I dodged a bullet. Non-metastatic. Complete cure with surgery…final outcome….still to come. Last surgery scheduled August 7.” She explained how she learned about each emotion. “Anger…based on fear…that somehow we are responsible for where we are…what did I do to have this happen in my life…am I somehow at fault….then anger to cover it up. Happiness…a very difficult painting to do…a lot a stuff underneath the surface…finally covering the hurt, pain, guilt, sadness, fear….making a choice to be happy despite the stuff underneath.” Visser’s new work is very different from her previous paintings. She has taken a near fatal event and used it to inspire a positive change in her artistic expression. Visser’s work was recently part of a group exhibit at Bergamot Station. The opening reception for “Five Artist Show” takes place Friday, August 1st at FABstudio (2001 Main Street in Santa Monica 90405) from 7-9:30pm. The exhibit will run through September 25th.